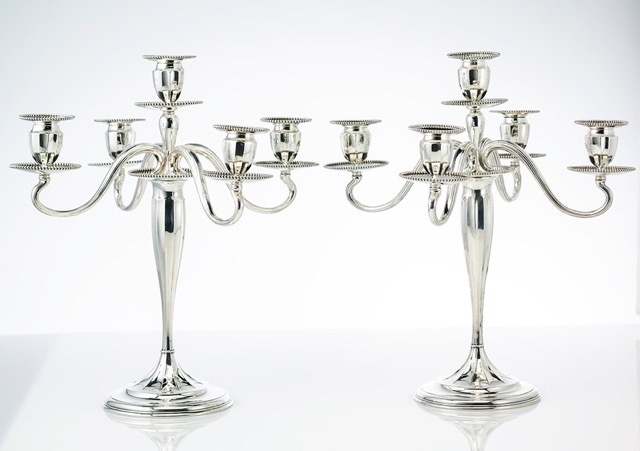 This pair of candelabra in the Colonial Revival Style and are of a very useful size because they can comfortably be used on modern tables. 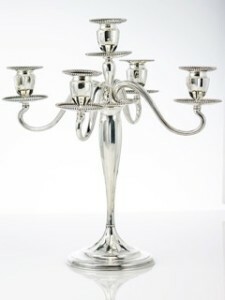 The arms can be removed so that the shafts can be used as a pair of candle sticks. 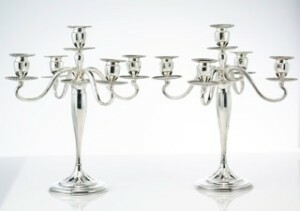 Designed in 1897 and made between 1902 and 1907. They are not weighted. Condition is very fine. They measure 14 5/8″ in height and 13 1/2″ across the arms at the widest point. One weighs 41.6 troy ounces, the other weighs 41.1 troy ounces.